I’ve been a fan of Rose Byrne’s for quite some time. I love her on “Damages”! She does drama very well, but she did show a funnier side in “Bridesmaids”. But she really caught my attention during awards season this past year. This Australian beauty proved beyond a shadow of a doubt she knows fashion and isn’t afraid to take risks. The sleek bob, perfect makeup, and sequined pantsuit blew me away. And this is why she’s my inspiration today. Simply stunning. It’s a risk to do a pant suit, but man did she pull it off. Another winner at the Oscars. Perfection! Lovely in Chanel. When wearing a bob like this, it’s important that the hair is shiny. This lady really likes the sequins. I really like the different textures in this ensemble. Not too many people can pull off bottoms like this, but she makes it work. Casual and chic in denim. The perfect side ponytail. It has just the right amount of oomph. At the airport in plaid. She really loves the skinny denim. An interesting combination. I really dig the shoes. Sporting the polka dot trend, which I adore. Perfect outfit for running around town. The classic sweater around the shoulders is a nice touch. 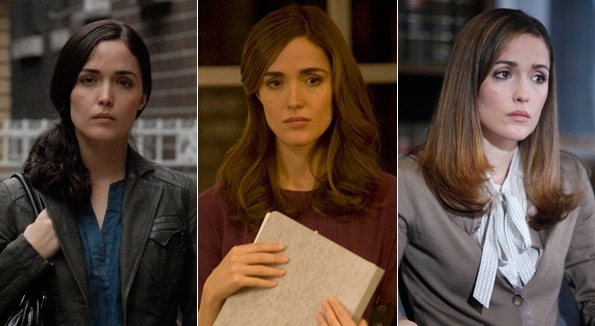 Her many looks on “Damages”. The wardrobe and makeup department do a fantastic job.